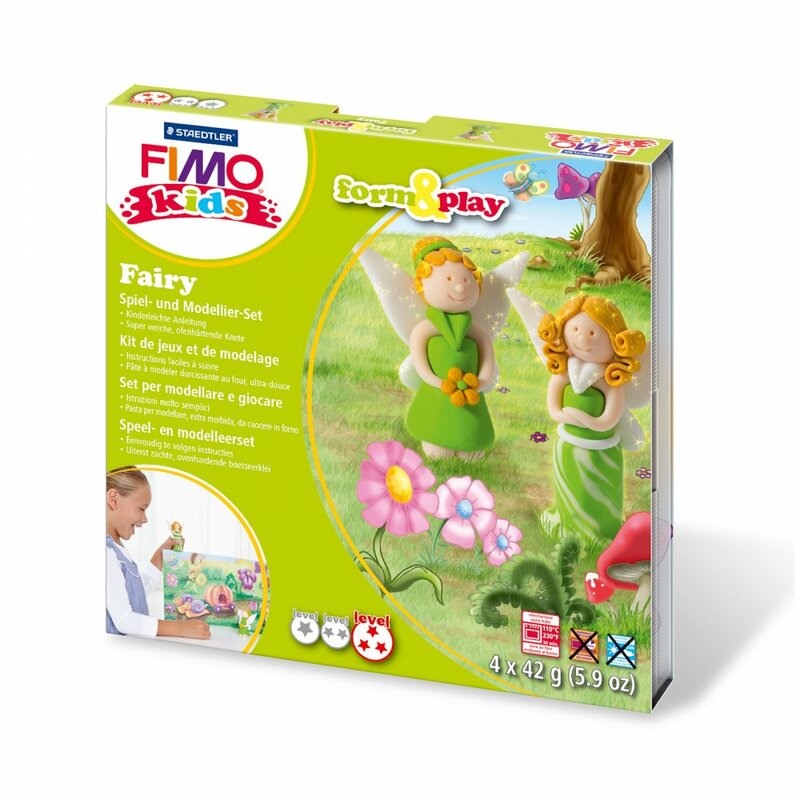 This set "Fairy" contains 4 blocks of 42g modelling stick, modelling tool, step-by-step instructions and the background scene is printed on the inside of the box. Fimo Form and Play guarantees lots of fun for kids over 8. It's soft, easy to handle and ready for modelling. Just knead together bake in the oven and then play.